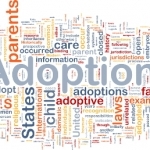 Decisions about child custody in Arizona are made on the basis of the child’s best interest. Unfortunately, it isn’t always in the best interest of the child to remain with their parents. In such instances, the Arizona Department of Child Services (DCS) could intervene. Children can be removed from their home in a number of specific circumstances. Domestic violence and all forms of child abuse will warrant the removal of minors from the home. Abuse comes in many forms – emotional, sexual, physical, neglect, etc. DCS has the right to take away children considered in serious danger of death or bodily injury. The local police will also be engaged in the process, taking children out of the home and placing them in temporary foster care. The process usually starts by someone making a report to the Arizona DCS. False reports are prosecuted, which is why such signals are taken seriously. Reports will then be prioritized on the basis of the information they contain and the investigation will be initiated. The investigation cannot last more than 60 days. DCS makes attempts to locate the child victim and to contact the parents or guardians. Such communication is used to determine whether the child is in danger. If an investigator rules out that a child is in imminent danger, removal can occur from the home. The same applies to instances in which there are no options for the introduction of a safety plan or the plan is turned down by the parents. Until recently, DCS investigators had the right to remove children without a court order. This changed in the summer of 2018. Starting July 1, 2018, DCS no longer has the right to initiate child removal without a judge’s order. In all other instances, DCS will have to file for a court order. The filing will occur electronically and a Juvenile Court official will be on duty 24/7 to speed up the legal process. The aim of the new law is to reduce the risk of children being removed needlessly from their home. In a number of the child removal cases, there has been insufficient evidence of neglect or abuse. The fact that a court official will have to examine the circumstances on top of the DCS investigators is expected to result in more adequate and beneficial decisions. Do You Need a Lawyer if Your Child Is Removed from Home? Having your children wrongfully removed from home could be a traumatic and stressful experience for everyone involved. If you ever find yourself in such circumstances, you may lead the confusion and emotional turmoil get to you. This is why you need to get in touch with an experienced family law professional as soon as possible. The consequences of child neglect or child abuse allegations could be serious. Your lawyer will take a thorough look at the available evidence, clarifying the possibilities and choosing the right strategy under the circumstances. Depending on the circumstances, a child may be returned to their parents. In-home dependency is an alternative outcome. In that case, the child is returned to the parents but DCS takes temporary custody until issues get resolved. Finally, out of home dependency refers to arrangements for the child to stay with relatives, a foster home or a shelter. Your family law attorney will give you the best chance to fight for your kids and to have them home as soon as possible. You should never underestimate the gravity of the situation because you risk having to deal with the hard to reverse, long-term consequences. 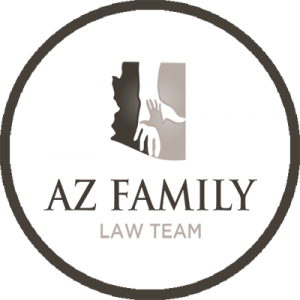 Find out about separation in Arizona by clicking here.